Callwork: OMG! 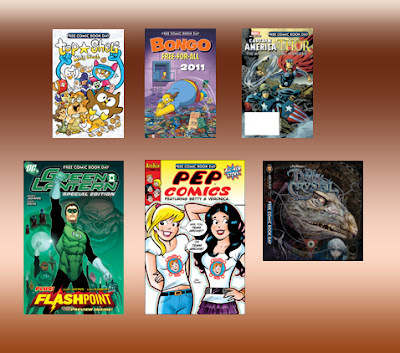 Free Comic Book Day na sa Sabado! Yup, we're all once again excited this coming Saturday. Why? It's free comics! Not one, not two... but a bulk of free comics! This will be held May 7 in Robinsons Galleria, our fave hangout, in Comic Odyssey! be there at 10:30 am. Below are some of the samples to be given away. http://www.freecomicbookday.com/comics.asp click here for more comic titles!